With Henry Cavill’s future as Superman still very much up in the air, he’s begun focusing on Netflix’s adaptation of Andrzej Sapkowski’s hit fantasy series, The Witcher. 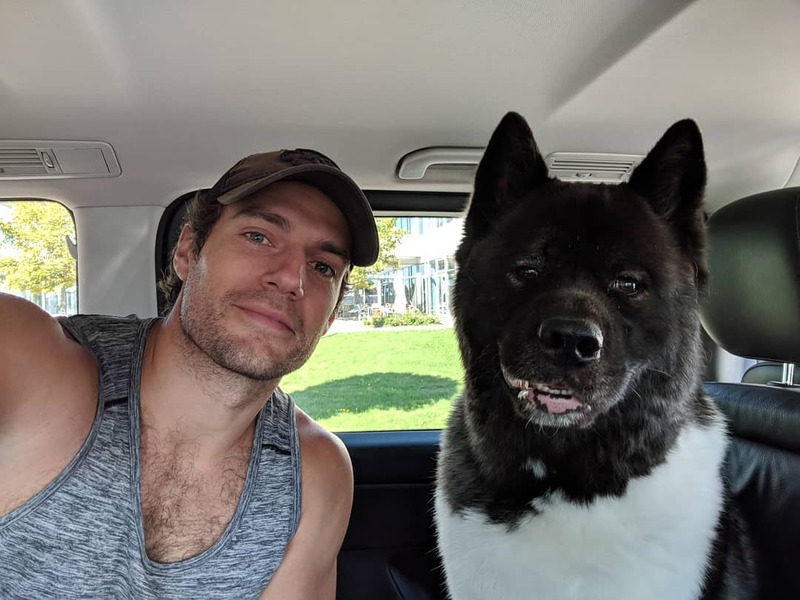 Can we just take a second to marvel at Henry Cavill’s amazing dog? I don’t know what breed the thing is, but damn, that dog’s weirdly charismatic. Anyhow, I’m sure that Cavill’s preparation to become a Witcher is grueling exercise. After all, the preparation to become one in the books is absolutely brutal. The Witchers get their new recruits when a village can’t pay for their monster-killing services, so offer a young child in lieu of payment. Said child is then carted back to a Witcher school and subjected to the Trial of the Grasses. This involves consumption of an alchemic mutagen that causes seven out of ten people who take it to die in horrible agony. The remaining 30% still get the horrible agony, but they come out the other side with superhuman reflexes, the ability to consume potions that would kill a normal man and the signature Witcher cat-like eyes. Now that Cavill’s getting into shape, I’d bet principal photography will begin pretty soon. So, expect your first picture of the actor in full Witcher gear and with Geralt’s white shock of hair to arrive shortly.